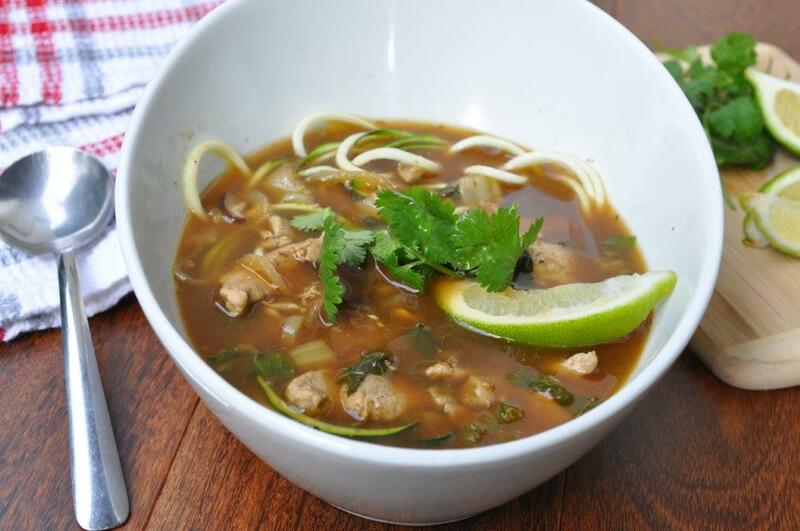 One thing I’ve always wanted to make was Pho and during my 4th Whole30 was the first time! I had a large batch of bone broth that I made the weekend before that had to be used so this was the perfect time. Instead of rice noodles in traditional Pho I used zucchini “noodles” to make this Whole30 compliant. 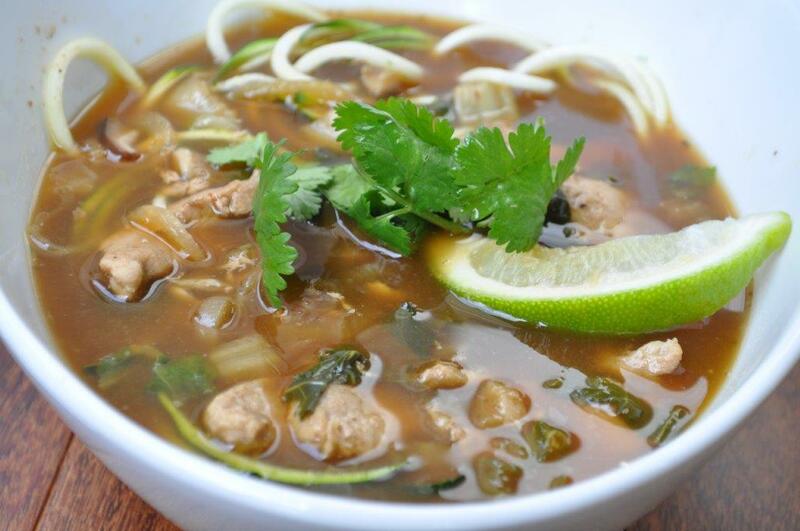 Of course you can use rice noodles if you are not following Whole30. I use a spiralizer but if you have a julienne peeler that works great too! Place ginger, garlic, star anise, cloves, cinnamon stick and peppercorns in large pot with a splash of broth and cook over medium heat until fragrant about 3-5 minutes. Add remaining broth and bring to a boil, reduce heat and simmer for about 30 minutes. Thinly slice your pork or protein of choice (unless you have some already cooked). I seasoned mine with a little salt, pepper and ground ginger. Strain the broth removing all the spices and return broth to medium heat. Add mushrooms, bok choy, onion and jalapeno and cook for about 10-20 minutes until veggies are soft and flavours develop. 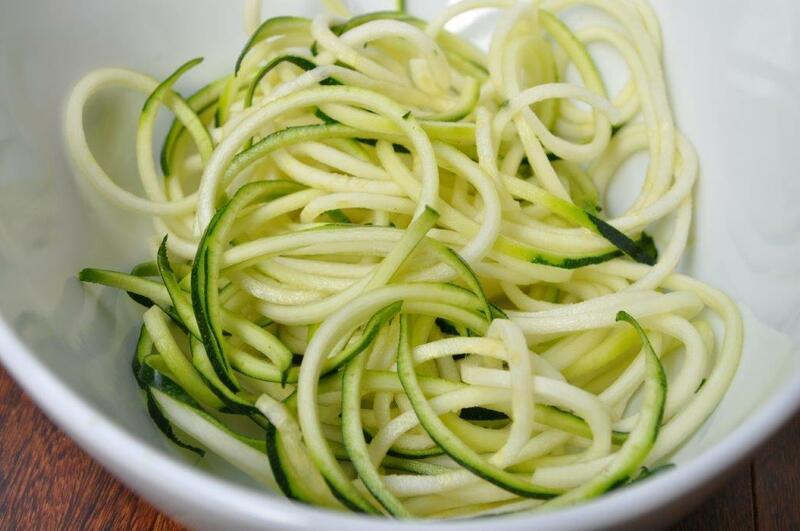 Spiralize or julienne your zucchini and place into serving bowls. 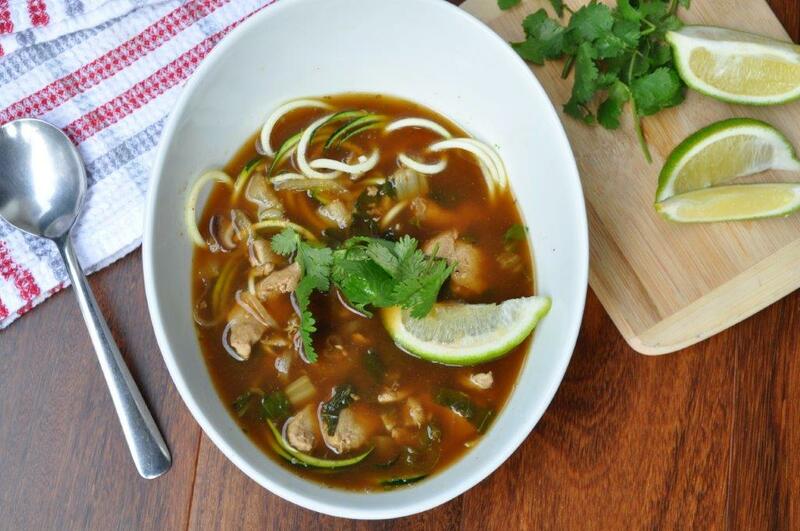 Ladle soup into bowls over “zoodles” and top with fresh cilantro and lime. Optional add some bean sprouts too! Hope you enjoy as much as I did. I had leftovers for lunch!